Suggested Nonfiction Readings: For The Upcoming Election. 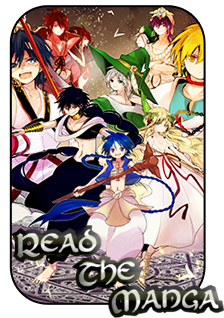 Magi: The World of Magic » Central Hub » Questions and Suggestions » Suggested Nonfiction Readings: For The Upcoming Election. I couldn't vote so at the very least,I will have voiced my opinion. Oh This is Dylan, Farid, Chimera, Divebomb, whatever. Been here forever. Lots of people are voting for Merrze and lots of people are voting for Lero. They are both great candidates but I think lots of people have failed in filling out the cons, mainly one for Merrze. Merrze currently has around 1130 posts. In comparison, Lero has made more than half that amount over all her characters (684, to be exact). However, keep in mind Merr has joined Magi as of January 29, 2015. In other words, over three years ago. Lero joined less than a year ago (Feb 21st of 2017) and doesn't just have one character - but four. You do the math. Another fact to consider is that staff is paid every three months on the amount of work they had done. If you had access to the information and saw it, you would see that Merrze has never reached ‘MVP’. Instead, she has been Skimmer and once Helper. In fact, recently, due to her lack of activity both she and the admin/s agreed given everything, she wasn't able to keep up as staff anymore. I have seen Merrze a lot more than I have in the past. He has been trying very hard to be more present and active in the community. Even if it is not in roleplay, which you could say that I am in the same boat as Merrze. I have been admin for a year and yet I have the nearly the same amount of posts with a miniscule amount on each of my alts. 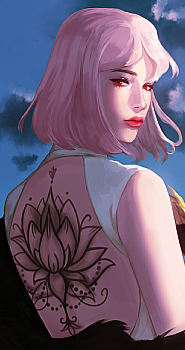 However, I can not deny that Lero is very active in terms of roleplay nor am I trying to invalidate her. While Merrze hadn't been the most attentive staff member and that played part in why we decided to let him go, he has more experience than Lero does in terms of staff work. That is undeniable. All in all, they are both great candidates for the role. But now is not the time to invalidate either of them. They both lack in areas that the other may fill. But I am locking this topic to prevent any drama that may stir from this. Anyone is free to read this and is free to change their opinion on either if they wish but there is no need to start publicly invalidating candidates. If you or anyone else disagrees, feel free to shoot me a message.